LED Test Tweezers are the newest product available from Siborg Systems Inc. This device is designed for testing micro-electronic components with focus on testing LEDs. The sharp gold-plated bronze phosphor tweezers can grasp small components, either loose or mounted on a PCB. 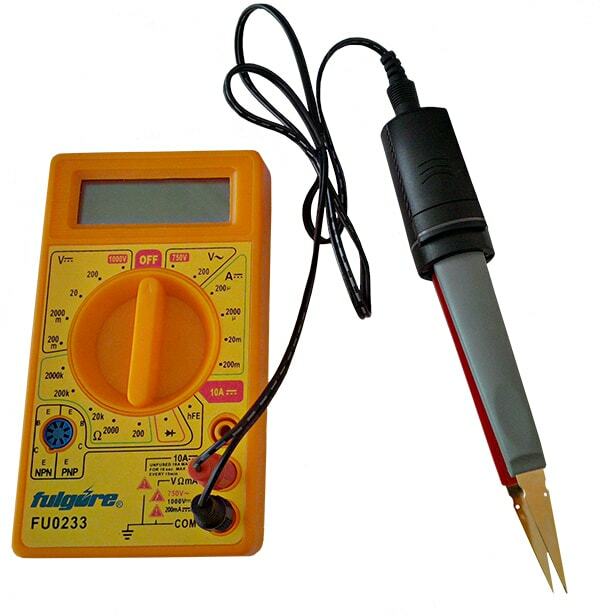 It can test for shorts, fuses, PCB circuitry, switches, and when connected to an LCR-meter using the included cable, the device can be used as the probes. LED Test Tweezers use a 12VDC output and have variable current ratings of 5ma, 10mA, and 20mA for testing LEDs. 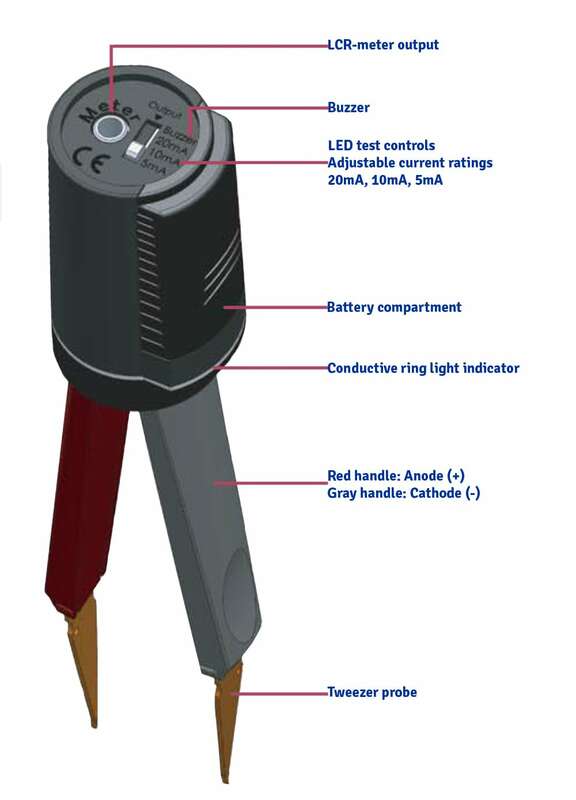 The colour coded arms of the device determine the components polarity with Red for Anode (+) and Grey for Cathode (-). The design of the device is perfect for professionals or engineers that require a lightweight device to take into the field. At only 50 grams weight and 15cms long, the device is nearly undetectable in a bag or pocket. 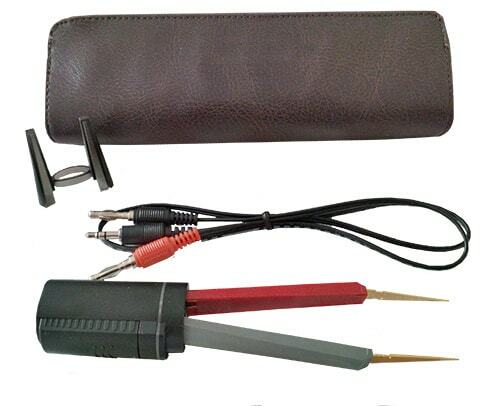 It comes with a travel bag, LCR-meter connector cable, 12V 23AE battery, and tweezer tip cover. Tests Circuitry, Wire Connections, etc.